Did the Comic-Con crowd bring its cosplaying A-game to this year's convention? Well... some did. 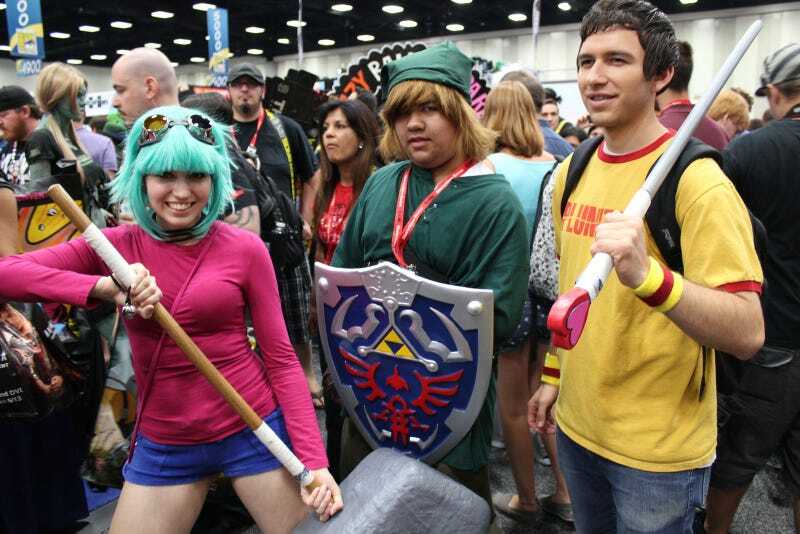 We saw some great video game fashion homages while crawling the halls in San Diego on day one of the pop culture con, some of which you'll see here. We like to think that Comic-Con attendees were just warming up today. We saw a great Jill Valentine and another rock solid Anya Stroud in plainclothes, not COG armor, at the show. But we failed to capture them for posterity. We did however snap pics of great Borderlands cosplayers and plenty of female game enthusiasts wearing their Mushroom Kingdom best. Take a peek at the gallery above for some Comic-Con cosplay with the promise of more to come tomorrow.